The direct management of the Lameloise is interrupted in 2009 when Jacques, third generation in the dynasty, hands the hotel and restaurant, already awarded with three Michelins stars, to the duet formed by grandson Frédéric Lamy as director, and Eric Pras, his right-hand, in the kitchen. 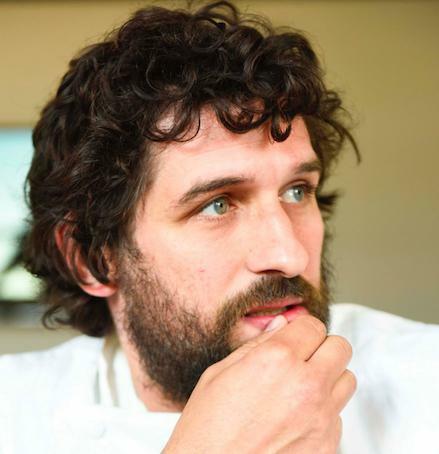 Born in 1974 in Roanne, at 10 Pras was already dreaming of becoming a chef. This desire is shaped side by side to great masters: Pierre e Michel Troisgros, Bernard Loiseau, Pierre Gagnaire, Antoine Westermann, Francis Chauveau and Régis Marcon. The latter is his mentor, the coach of the Meilleur Ouvrier de France, which he won in 2004. 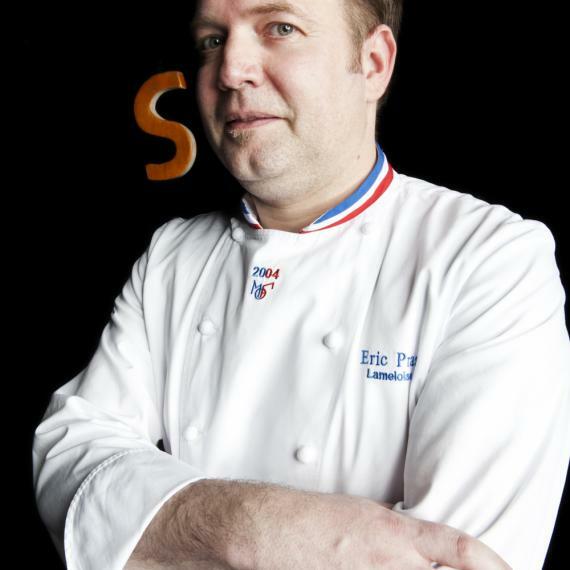 Éric spent 6 years by his side, of which the last 3 as chef de cuisine before arriving at the Lameloise. Taking the place of Jacques Lameloise, at the helm for almost forty years, is not an easy task. The challenge launched, however, is won: Pras has made the culinary art evolve gradually, while remaining faithful to the spirit of the establishment. In the menu, he has kept some emblematic dishes such as the Truffle compote of oxtail, the Pigeon cooked in bladder, or the Lobster mille-feuilles with tomato pie. But he has also imposed his signature: «I cook mustard, pain d’épices, snails, frogs and so on in my own way. I choose them when they’re in season, when they taste better, taking care of aesthetics and pairing them to the wines of Bourgogne, the treasure of our cellar». Genuine flavours, neither too strong nor too spicy. The menu doesn’t only follow the rhythm of the seasons but can change from one day to another, even from morning to evening, according to the availability of products, because they are the ones to win. Creative, demanding, perfectionist, Pras has stood out with dishes which have become an institution: Snail tart, Roasted pigeon with pain d’épices pralines, Hot and cold prawns in green tomatoes sauce and mustard cream, Smoked salmon, marinated and cooked in vine branches covered in dill milk cream with Aquitaine caviar and served with an asparagus sorbet, blue lobster, Roasted tail with purple artichokes and zabaglione, claws in potato cream and tarragon. He has given to the Lameloise the gift of a new youth.